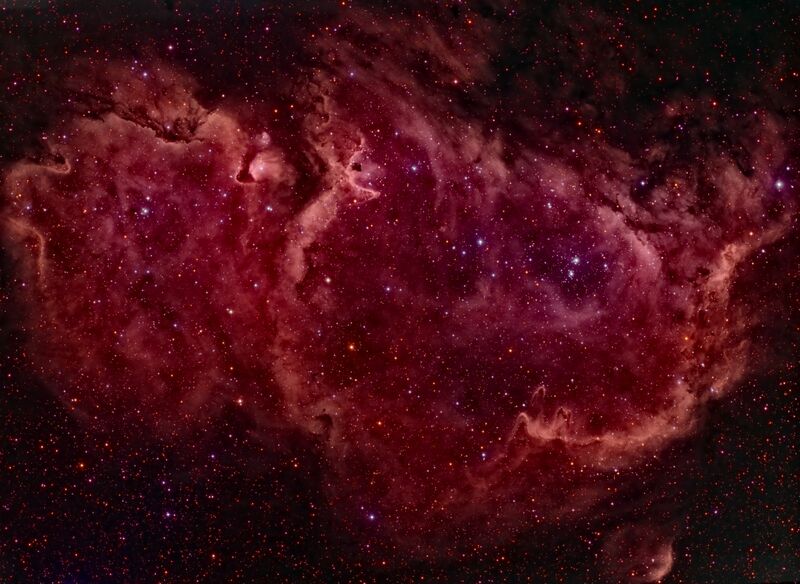 The Soul Nebula (IC1848, Sh2-199, LBN667), looks more like a toddler if you ask me. The companion of the Heart Nebula, both expansive emission nebula difficult to observe visually but a rewarding catch on chip. Unlike the usual narrowband composites, this is an RGB image with Ha used as luminance channel. I will have to improve the processing to get rid of the unnatural bright-red highlights that result from using Ha as luminance.